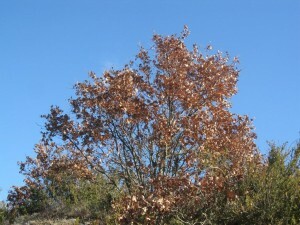 This picture was taken in January in the Drome area of Provence. 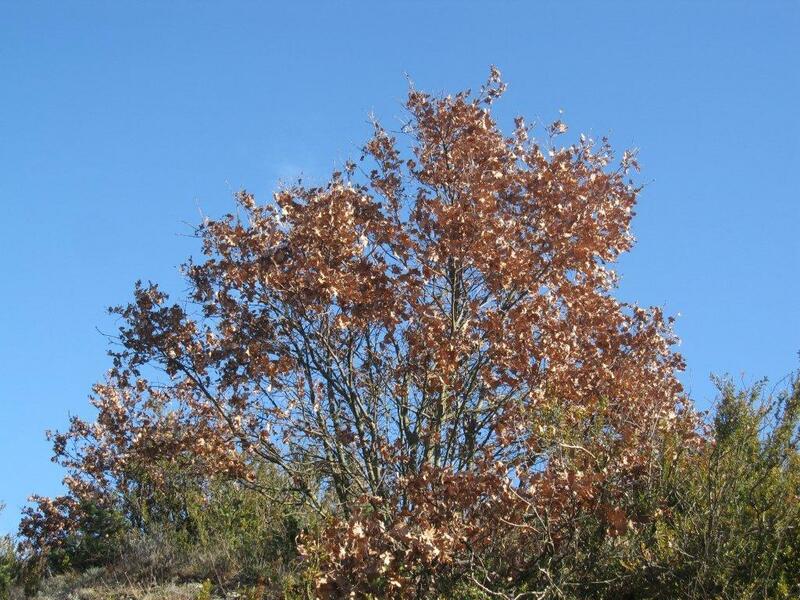 The leaves of the oak trees turned brown several months ago, and many mistrals have blown since then. But the leaves are STILL ATTACHED!! Those leaves will stay there til late spring when the new ones literally push them off. One day the tree is brown, and seemingly the next it is green. It amazes me every year. Thanks RW. I was wondering what would happen to shake those leaves free is the Mistral obviously is inadequate. Can’t wait to see it happen.